When I was completing my undergrad in the School of Health Studies at Western University, I never thought I would leave London, Ontario. Yet, after taking a course called International Health Systems, I realized we have so much to learn from other countries. I felt the desire to experience it firsthand. A colleague heard about my passion and introduced me to the Erasmus Mundus Joint Masters Programme: Europubhealth+. Funded by the European Commission, Erasmus Mundus encourages both short and long-term student and staff mobility. A group of institutions provide an educational experience and training that they would not be able to offer alone. 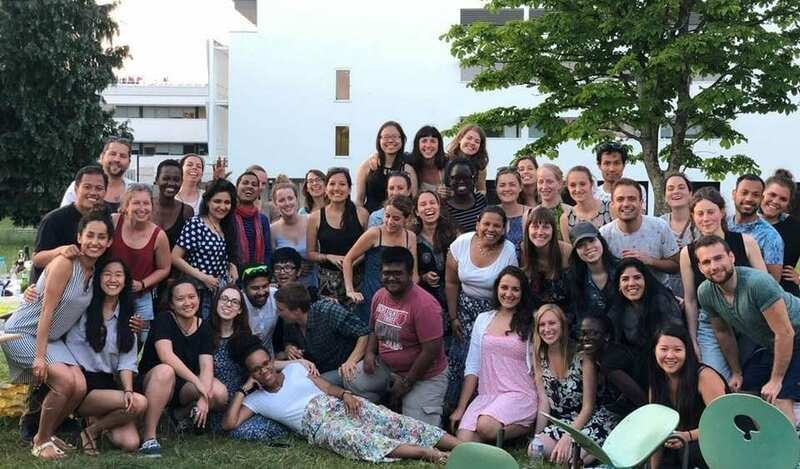 Erasmus Mundus offerings take place in at least two countries, allowing students to obtain joint/multiple degrees from different parts of the world. Scholarships are available to cover tuition fees and insurance, and there are living grants for self-funded students. My Europubhealth+ (EPH) degree is a two-year Joint Master in Public Health with six European university partners. 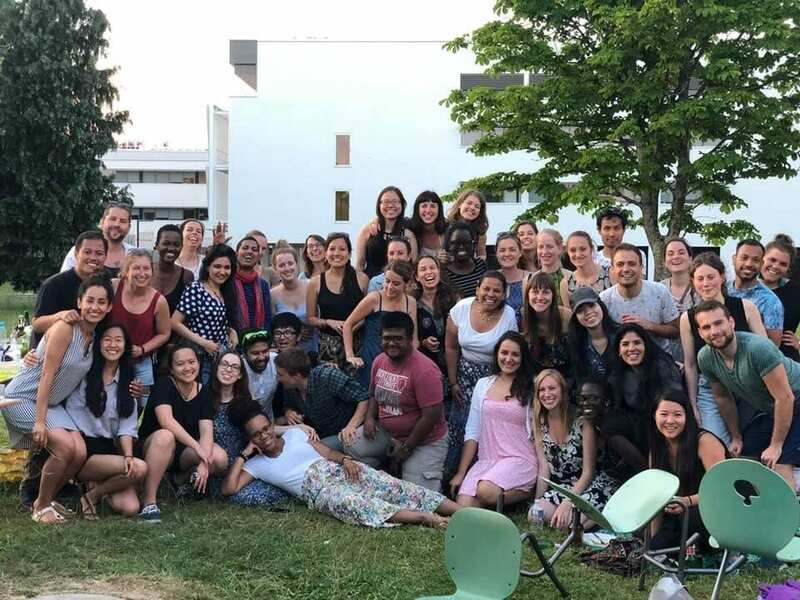 In my first year, I studied at the University of Sheffield in England for 10 months and then the École des hautes études en santé publique in France for a three-week long integration module. I am in my second year now, specializing in the Governance in Health Systems in Transition stream taught at Jagiellonian University in Poland. I have one semester of classes and one focused on preparing my thesis and completing an internship (I will be interning in Sweden at Global Water Partnerships). Lastly, I will head to France for my last integration module and to graduate! 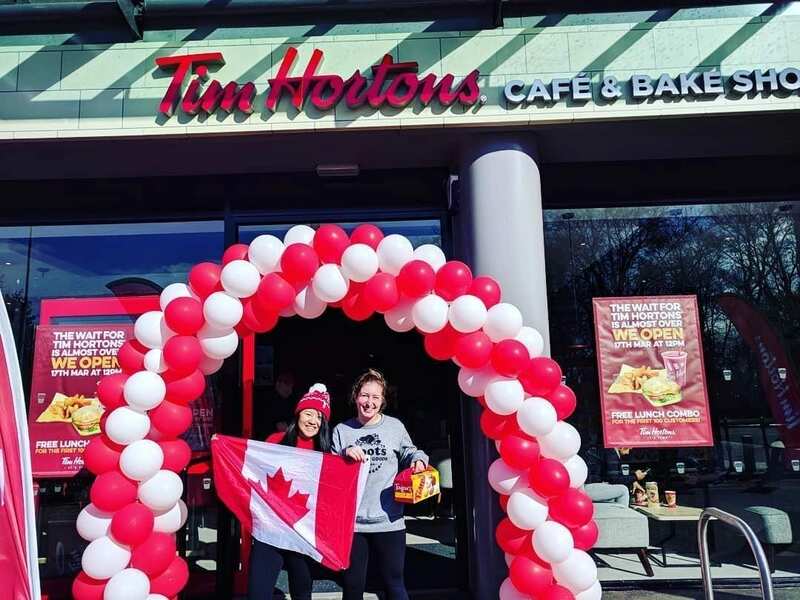 The author (left) and a fellow Canadian student at the grand opening of Tim Hortons in Manchester, England. 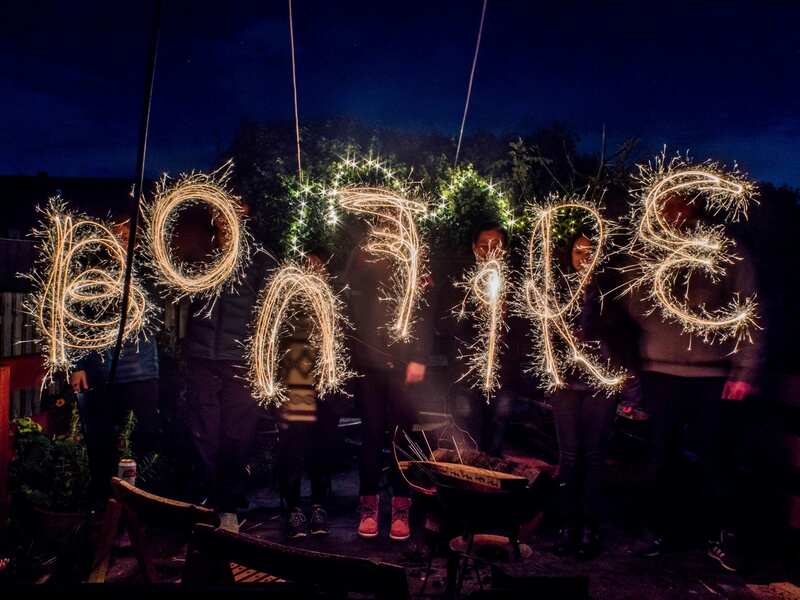 Celebrating Guy Fawkes Night (aka Bonfire Night) in Sheffield, England. My program has one of the biggest mobility tracks and we constantly joke that we live in the airport. It is not always easy, but you learn to adapt to new environments quickly. I feel grateful for this opportunity to study and live in four different countries in two years. Our program is very supportive, providing us with housing tips, visas and language courses. We have become integrated in each university and country we move to – joining clubs, participating in academic and social events, and volunteering in the community. Most importantly, this experience would not be the same without the people. My classmates are from over 30 different countries with backgrounds ranging from medicine to economics. Everyone has passionate ideas and common goals of working in public health and we support each other throughout our EPH journey like a family. We also study with local students at each university who embrace us with warm hearts and show us their favourite spots. When I think about my decision to study in EPH, I remember how I was torn between completing my Master in Public Health in Canada or abroad. My family was hesitant about the idea and I did not know what to expect. Was I ready to be away from home for a long time? What’s the cost-benefit of being abroad? I had so many questions, but I know that this was the right decision for me. I am excited to continue on my path of working in international health! Tara Chen is a Canadian student completing her Master’s degree abroad through Erasmus Mundus. Please feel free to contact her if you have questions about the program.